Mike Pence: OpEd: More conservative than Trump on many domestic issues. Tim Kaine: OpEd: More liberal than Hillary on health & school policy. 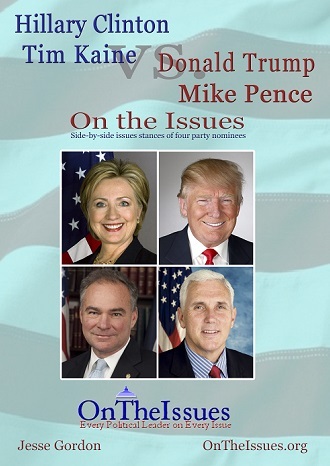 The above quotations are from Trump and Pence vs. Clinton and Kaine: Presidential and Vice-Presidential Nominees On The Issues, by Jesse Gordon of OnTheIssues.org.